On Washington College Week: Helping domestic violence victims can be hard in isolated areas. Rachel Durso, assistant professor of sociology at Washington College, describes using data points to bring help to areas that need it. Professor Durso’s primary research area examines the consequences of mass incarceration in the United States in the 21st century. This research explores the ways in which social control of minority groups, partisanship, and historical punishment practices affect modern-day punishment issues such as increases in corrections spending, prison admissions, and privatization. She analyzes these issues from a macro quantitative perspective using national and state-level data. 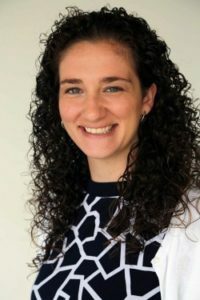 She is currently working with a colleague at Northwestern University to determine the state-specific factors that led to mass incarceration in Florida. Professor Durso is also a member of a research team from The Ohio State University that is investigating the ways in which political and social activists use social media to further their causes. The project has been funded by the National Science Foundation and preliminary findings have been presented at the annual meetings of the American Sociological Association, The Eastern Sociological Society, and the Southern Sociological Society. Maryland’s Eastern Shore is quite rural, and the Mid-Shore Council on Family Violence is the primary service provider for victims of domestic violence for five counties. For victims who are isolated in one of these places, it can be hard to get help. To help Mid-Shore better serve its clients, we created a collaboration among my students and I, Mid-Shore, and the college’s Geographic Information Systems Program. The collaboration supported a one-million-dollar Victims of Crime Act grant to enhance services such as crisis intervention, counseling, temporary housing, criminal justice support, and advocacy. Last summer, we interviewed Mid-Shore clients who had experienced domestic violence, in part to define their needs as data points. We saw recurring themes like poverty and the lack of access to resources, but we also saw the themes of social cohesion and isolation. Prior research tells us that living in a small town can deter crime, but these women indicated that social cohesion doesn’t always help domestic violence victims. Because domestic violence is often seen as a private, even shameful matter, it can prevent people from seeking help. Additionally, there are often overlapping social networks in small rural communities, so victims may feel discouraged getting help because they are likely to know service providers. Our interviews also revealed how important social media can be for women who are physically and socially isolated by helping them communicate with others who have had similar experiences. The GIS team mapped client locations, creating a macro view that convinced officials that additional offices were needed. The interviews informed other resources to map, like hospitals, public transportation, daycare providers, police jurisdictions, broadband internet and mobile data networks, and access to affordable housing. With these data on social cohesion and isolation, social media, and access to resources, the agency is revamping where and how it is deploying its money and efforts to help women in rural areas on Maryland’s Eastern Shore.